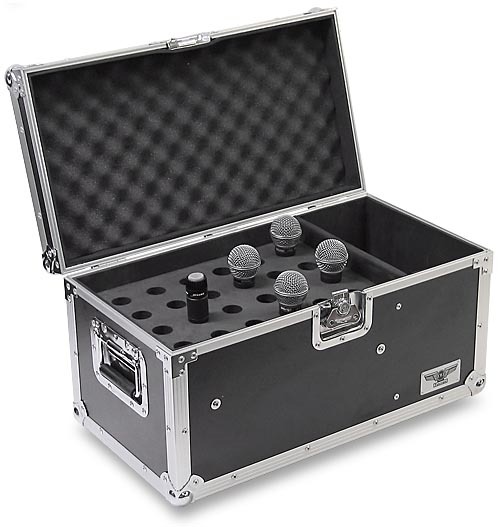 This is the EWI Tourcase tm Model M024-30MM medium duty mic road case with one DI compartment. 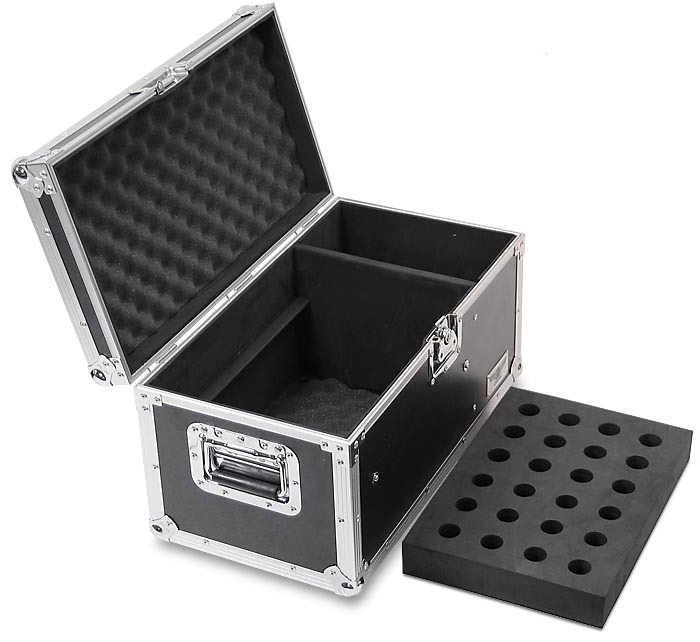 The mic case comes with a removable dense foam mic caddy tray that has holes for 24 microphones. The 24 holes in the foam are 30mm in diameter and fit a wide range of microphones. The M024 side panels are constructed with 1/4 inch hardwood plywood and covered with a black ABS laminate finish and a fully padded interior. 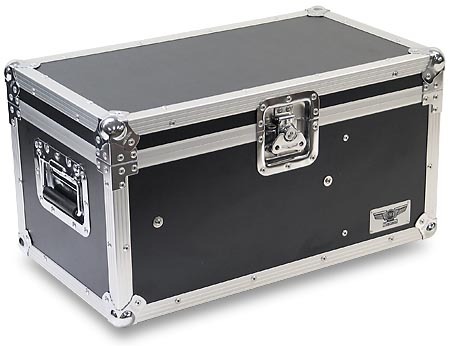 The extrusion is all aluminum and the case is assembled with high quality aluminum rivets. The rivets on the 2 recessed padded flip handles are backed with washers to ensure strength and durability. The lid is hinged on the back and held closed with a single butterfly latch. The case uses aluminum extrusion and each corner is protected by a medium ball corner. The case sits on 4 rubberized feet. To the right of the mic compartment is a separate compartment for DI boxes, mic cables, mic clips or similar items. Also, below the removable mic caddy tray is possibly more room for stuff. Left to right: 5 1/2"